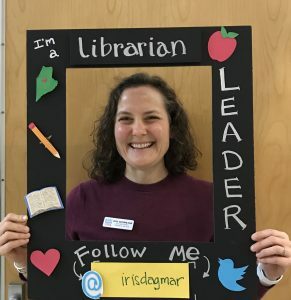 School librarians are uniquely positioned to be leaders. We see all of our students. (And — shh, don’t say this too loudly to our classroom teacher friends — but nothing that we teach is on a standardized test, so our students might love us just a little bit extra for that.) We form relationships with students through their interests and passions: the thrill on a reader’s face when we hand over the next book in a beloved series; the student who shares his fascination with Greek mythology that began with Percy Jackson; assisting the editor of the student newspaper as she wrangles the final formatting and printing of the latest issue. We teach our students life skills they will take into their futures, such as how to find what they want in a library, how to discern authority in a source, and how to manipulate combinations of search terms to return the results they need. Sometimes it’s something more mundane but useful, like how to make a double-sided photocopy. We collaborate and work with teachers. We assist in developing lessons or units; co-teach with our colleagues; support the curriculum with current collections of resources; find a great website for history teachers and pass it along to the department; help out in the moment of need when a teacher’s technology fails. And we are there for teachers in many other ways. Much of what I have just described could fit into a single day. Our work in the library is busy and exhausting. How do we find time and energy for leadership? My path to leadership started when I realized that I had something to offer. This was quickly followed by a wave of panic at the idea of becoming more visible and stepping outside of my comfort zone in the library. After attending an EdCamp in my state, I came back to my district fired up about this day of authentic learning and teaching with other educators. EdCamps follow an un-conference model where there’s no “expert” with a boring slideshow. Instead participants co-create the schedule of sessions on the morning of the event based on the interests and expertise of the attendees. I shared my excitement for EdCamp with my superintendent, who asked me to plan an EdCamp for an inter-district workshop day. Gulp! I knew I’d need to do some work on myself to get over my fear of stepping out in front of, not just my own entire district, but in front of another district too. Look for ways you can take small steps “out front.” Ask for a few moments during a staff meeting to share some new book titles, whether professional, subject-specific, or fiction. Present to your school board or curriculum committee about an aspect of your library program. During a district workshop day, consider offering a session to your peers. When I was selected as the 2017 Knox County Teacher of the Year (CTOY), my cohort of fellow CTOYs was encouraged to “use our voices” to advocate for best practices and excellence in reaching all learners. Tamara Ranger, 2017 Maine Teacher of the Year, told us that our teacher voices and perspectives were very much needed where decisions about education are made. She invited us to take our “place at the table” and share our expertise with decision-makers and other educators, and to look for opportunities to lead. Her words surprised me! There was a place at the table waiting for me? Prior to this, I had not considered that my reach could extend beyond my school and district. Were there opportunities to share my expertise at this level? As the first school librarian to have the CTOY distinction in my state, I felt a responsibility to advocate for the school libraries and librarians in Maine. 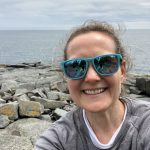 I began to submit proposals to present at statewide conferences, and was a co-presenter at the Maine Libraries Conference, a keynote speaker at the Fall Forum of the Maine Association of School Libraries (MASL), and a presenter at a state-wide literacy conference in the spring. AASL’s own Susan Ballard was in attendance at the MASL Fall Forum and encouraged me to apply to become a KQ blogger. As a presenter at the Fall Forum, I reconnected with my state organization; I was invited to serve on the MASL Board, and have taken the role of Professional Development Chair. Once I started noticing these opportunities for leadership, they began to appear more frequently. 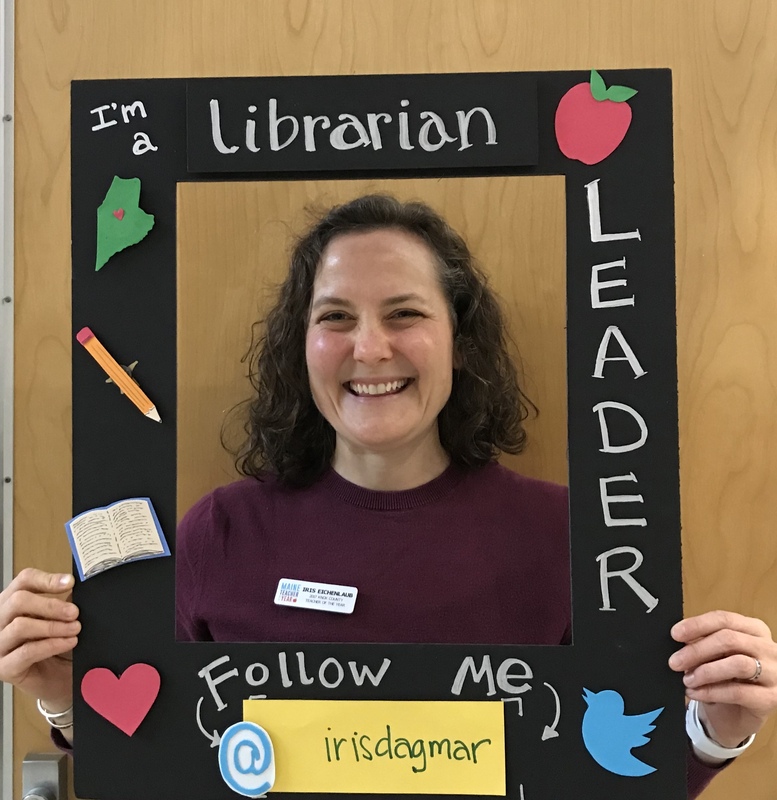 (More on my librarian-leadership journey can be found here, in an interview with the Maine State Teachers of the Year Association). You’ve likely attended professional conferences in your state. Have you considered submitting a proposal to present? Or helped to plan the event? How do you contribute to elevating your state’s professional community of school librarians? Have you ever submitted testimony for a state bill that impacts school libraries and education? When I extend myself beyond my school library and school, it’s sometimes stressful, but always rewarding. This week was one of those weeks. Thursday afternoon was a culminating virtual interview with an author (I was responsible for making sure the technology ran smoothly). And on Friday, an English teacher and I co-presented to a packed room full of educators, at the annual conference of the Maine Council of English Language Arts. 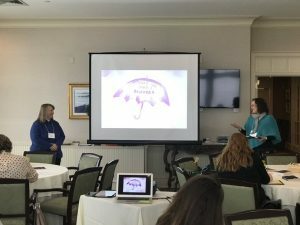 We were talking about what we love: how to make more real readers, and our enthusiasm for collaborating (link to presentation). It was awesome and totally worth it. But now I’m putting my feet up, grabbing Jacqueline Woodson’s From the Notebooks of Melanin Sun, and taking it easy. Some great ideas, although I do think that many of the things we teach do relate to what is on standardized tests. For example, in our state, digital literacy will be included in the science testing. Indirectly, the things that they experience in the library enhance their understanding in many areas. First, I love your intro. Leaders are who are and it’s time we accepted our roles. Embrace it , it’s so rewarding. Being visible is an important part of making ourselves known in the school and wider community. Thanks so much for sharing your ideas and suggestions. Through your experiences you remind us of what we have to offer.